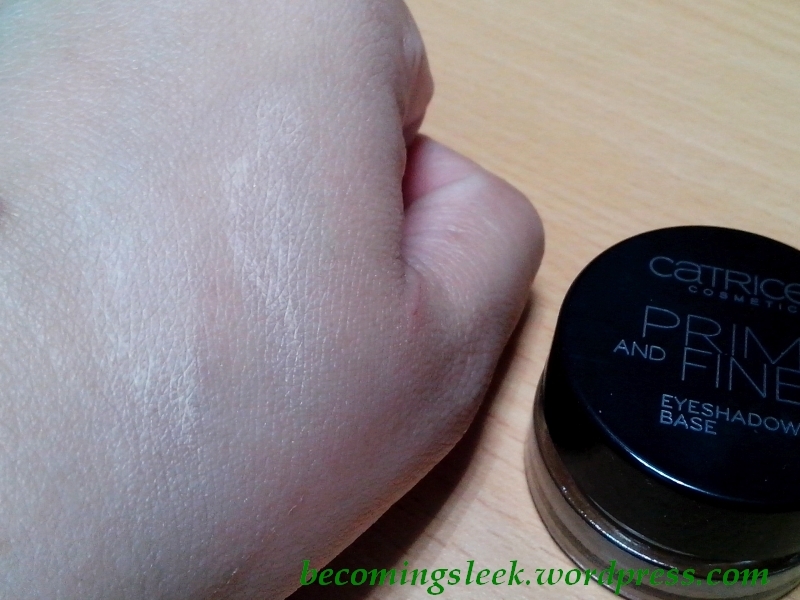 Ever since I got my Catrice Matt Mouse Makeup, I wanted to try more products from this cruelty-free drugstore brand. 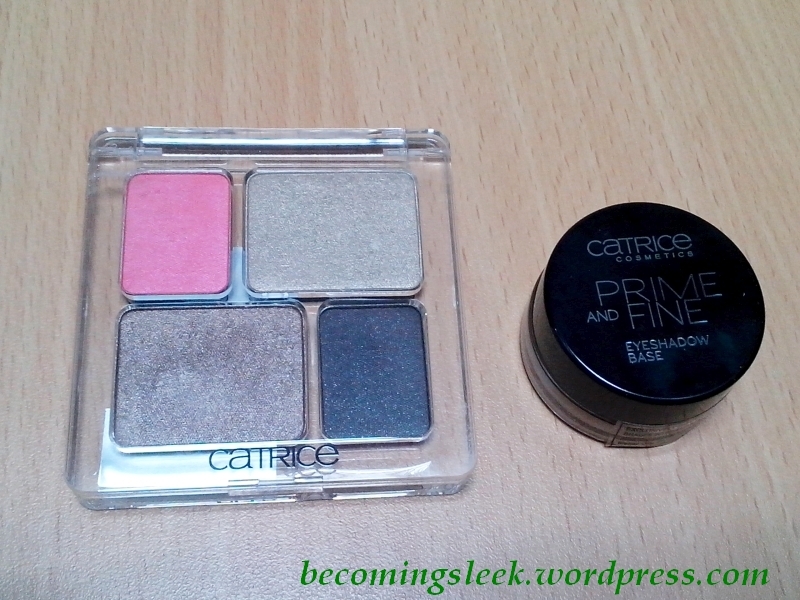 Nikki of Girl Behind the Glasses reviewed a couple of eyeshadows and I knew what my next Catrice products would be. 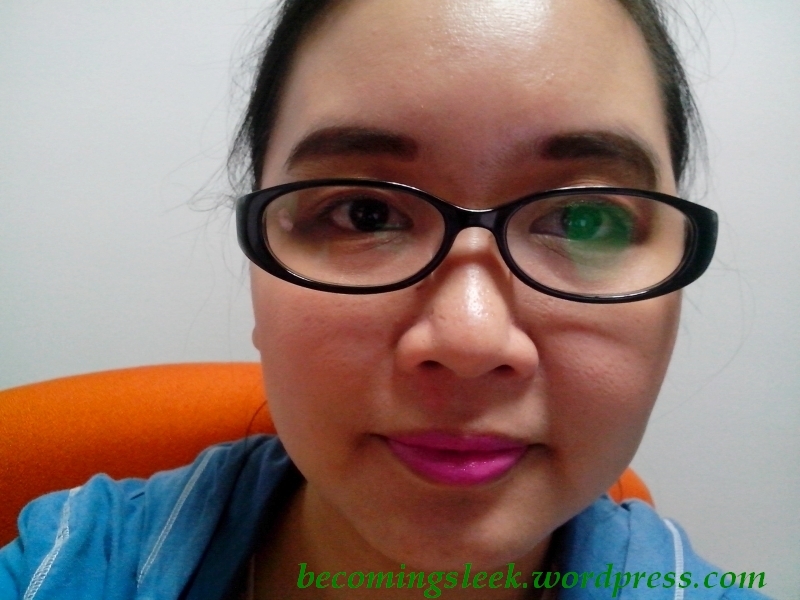 There were a dizzying amount of eyeshadows to choose from, as evidenced by this swatching frenzy I did when I visited the Catrice booth at Watsons The Block, SM North. 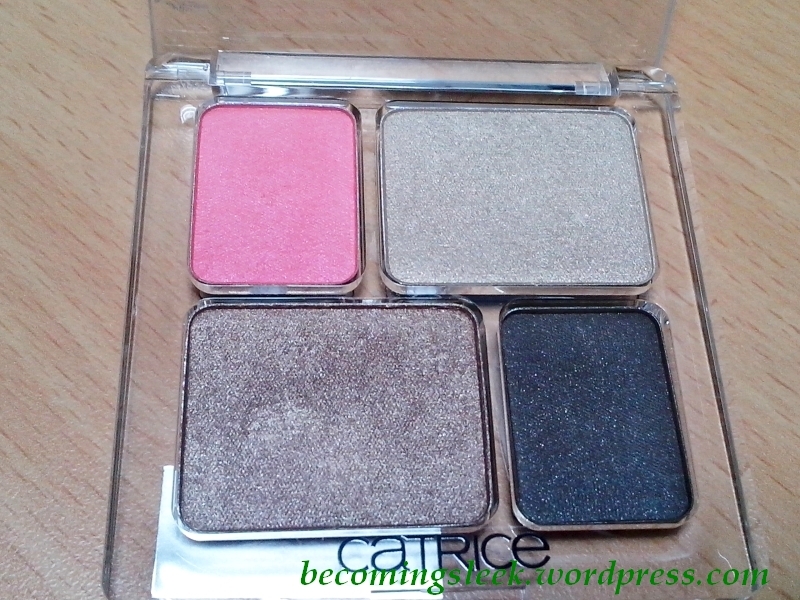 Catrice eyeshadow swatches. This is what happens when a blogger hasn't gone out for a while. It was really difficult to choose, you guys. Everything is so pretty! In the end I decided to get these two. 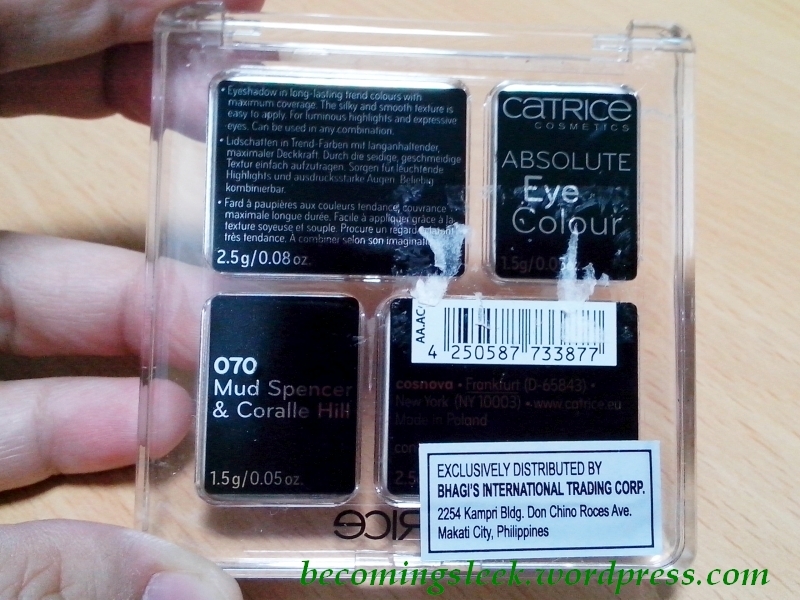 These are the Catrice Absolute Eye Color in 070 Mud Spencer and Coralle Hill (Php339) and Catrice Prime and Fine Eyeshadow Base (Php299). 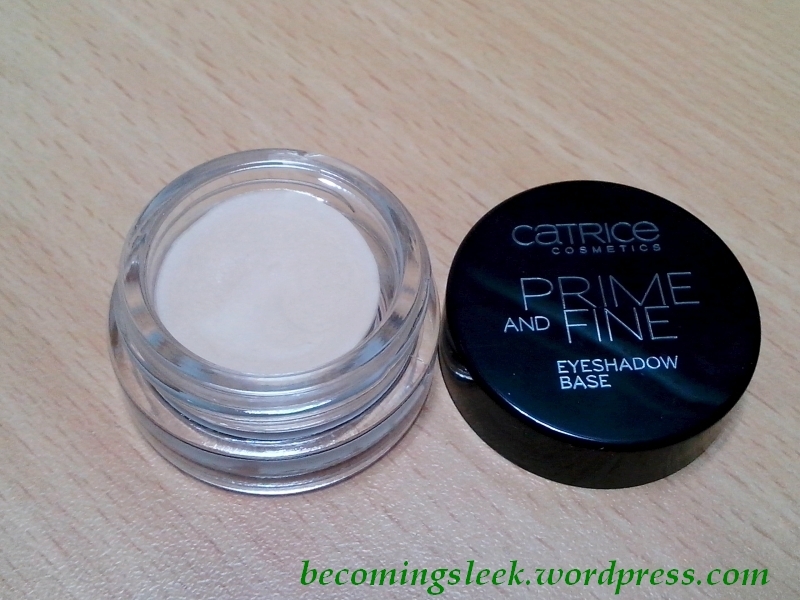 Catrice Prime and Fine Eyeshadow Base is an eye primer that costs only Php299. 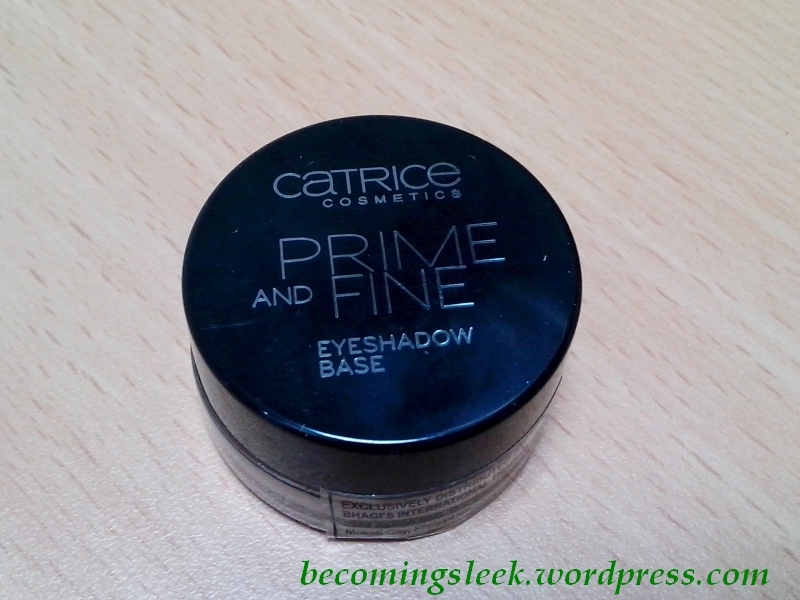 Since my HG primer is running out, I thought I’d try this one from Catrice to see how it stacks up. 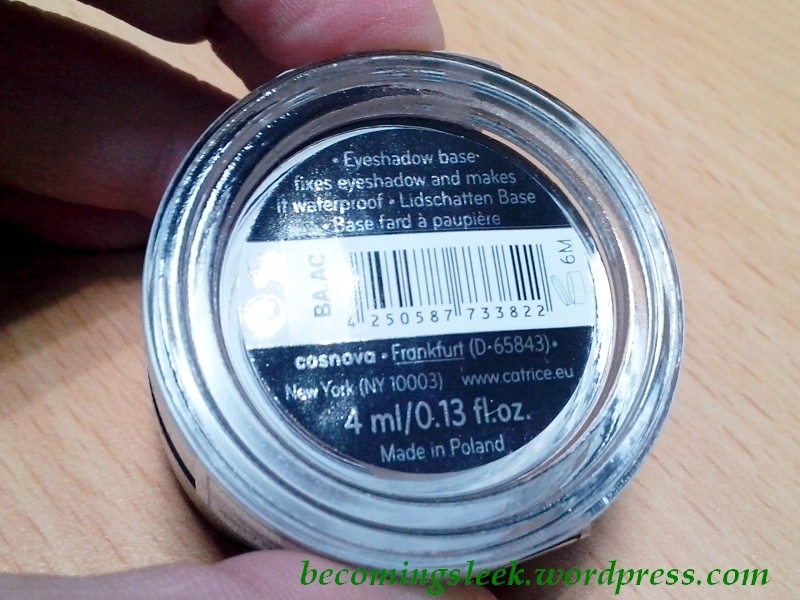 It comes in a standard plastic pot that contains 4 grams of product. The product itself is pretty yellow. And, unfortunately, the product is also quite stiff and draggy. Here it is on the back of my hand, two layers. It was really hard to swipe it from the pot, which I am hoping is only because it’s pretty new. Hopefully it spreads better on the eyes. The other product I bought is an eyeshadow quad called Absolute Eye Color in 070 Mud Spencer and Coralle Hill. 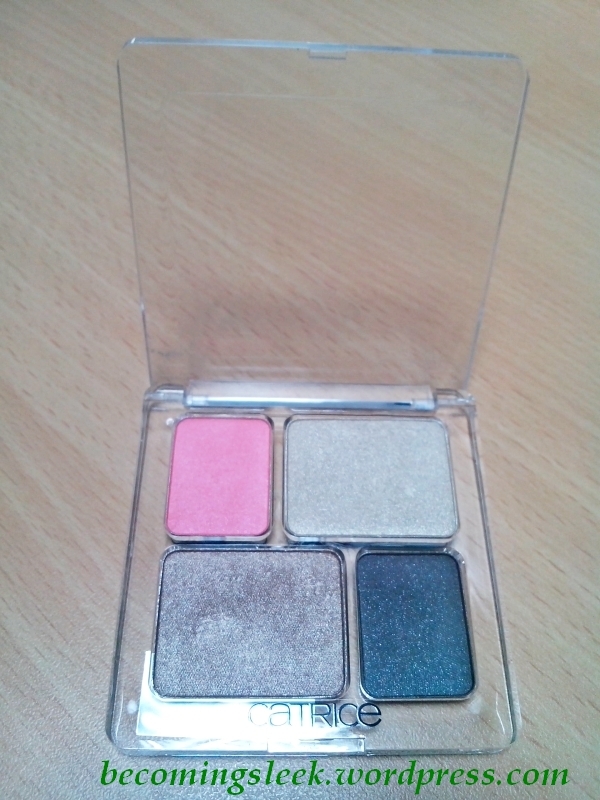 It is an eyeshadow quad housed in a really pretty acrylic palette. Only the brand name is stamped on the cover, giving us a clear view of the actual eyeshadows. At the back you will see the name of the product and the amount in the individual pans (2.5g for the big pans and 1.5g for the smalls). Those really ugly white streaks came from the tag price which was really difficult to remove. Too bad the slots for the pans are not standardized to the eyeshadow singles that they sell. 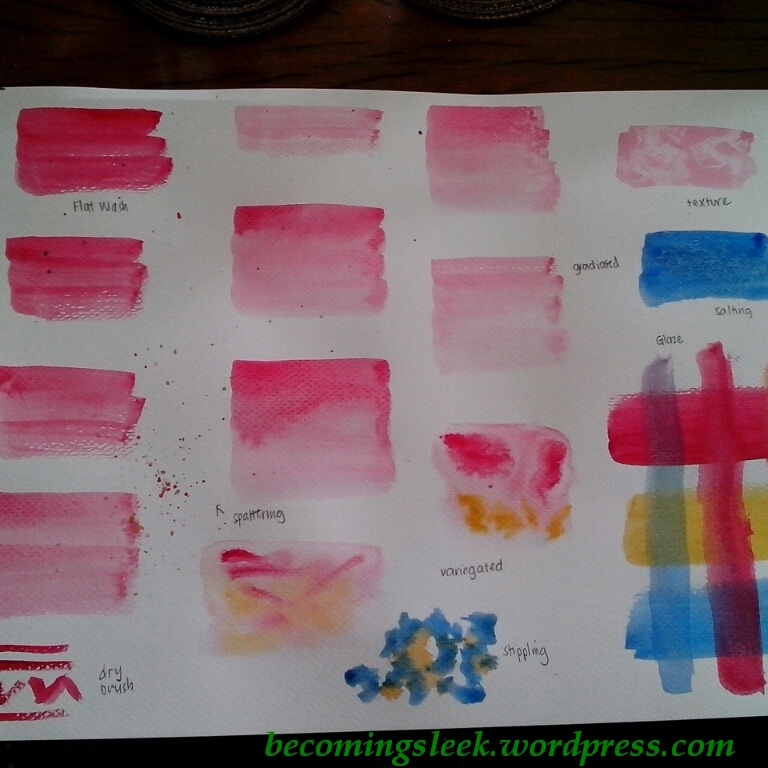 I could see the potential for getting your desired colors and setting up your own palette. 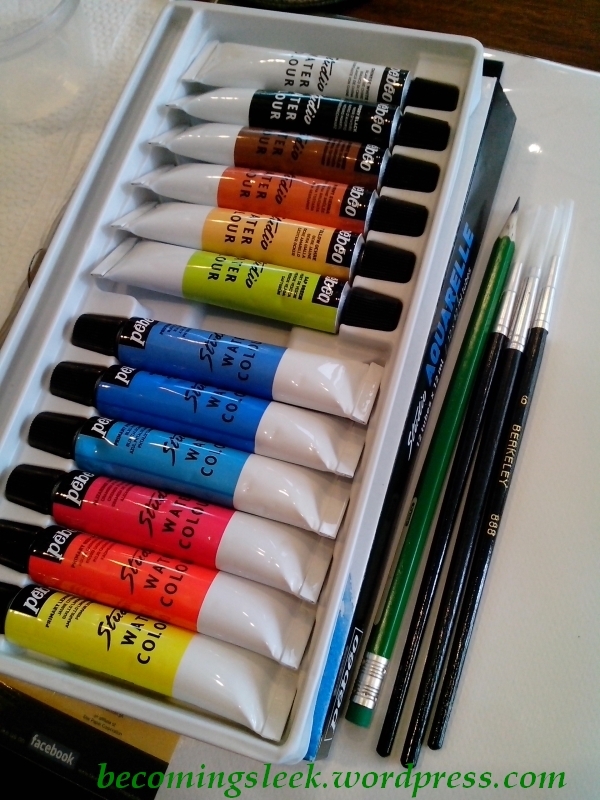 Here is what the palette looks like, opened. Even though it’s made of plastic,the palette itself feels sturdy. And here is a close up on the eyeshadow pans. I don’t have information on the names of the individual shades, so I’ll just call them pink, silver, black, and bronze (clockwise from the top left). 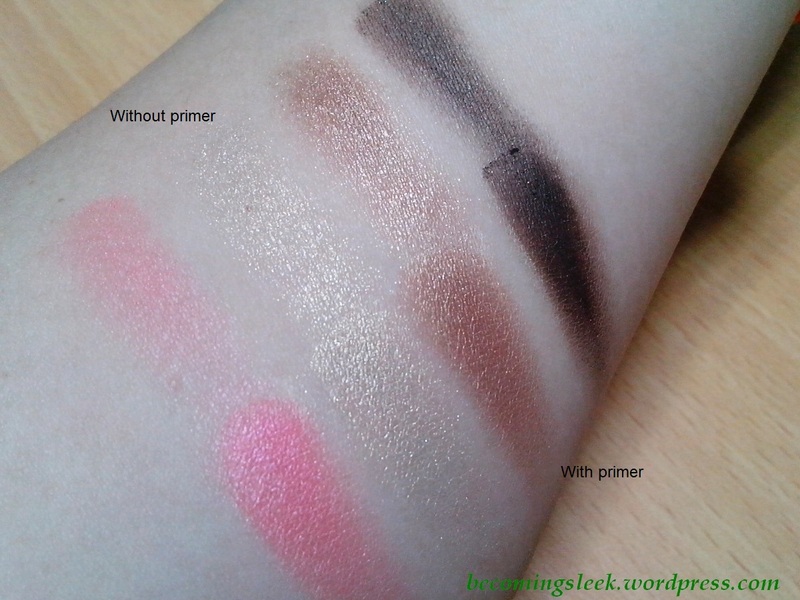 Here are the arm swatches, with and without primer, using of course the Catrice primer I also bought. I can’t wait to use them! 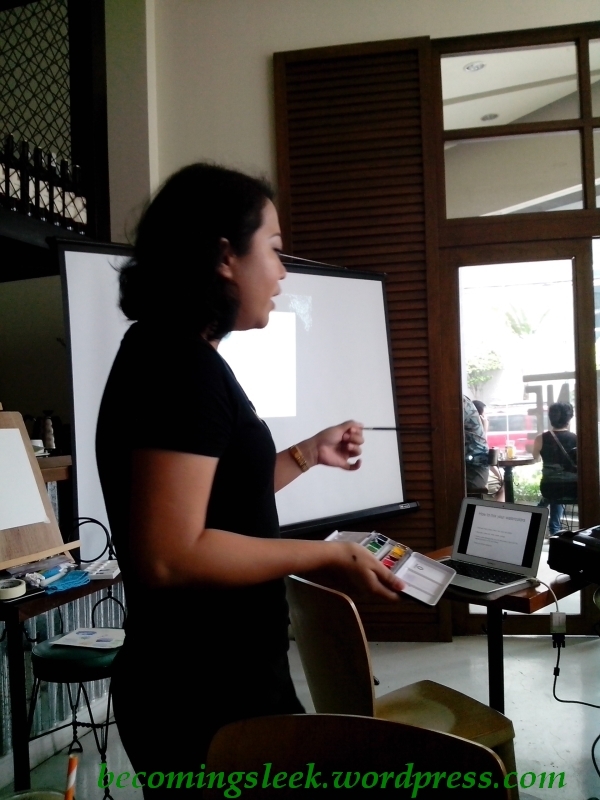 I’m also quite convinced to get more eyeshadows (hahaha…er..) and maybe try their other products. The blushes look good, and maybe I’ll have a go at a lipstick or two. Unfortunately they don’t have matte lipsticks, otherwise I would have bought one already. 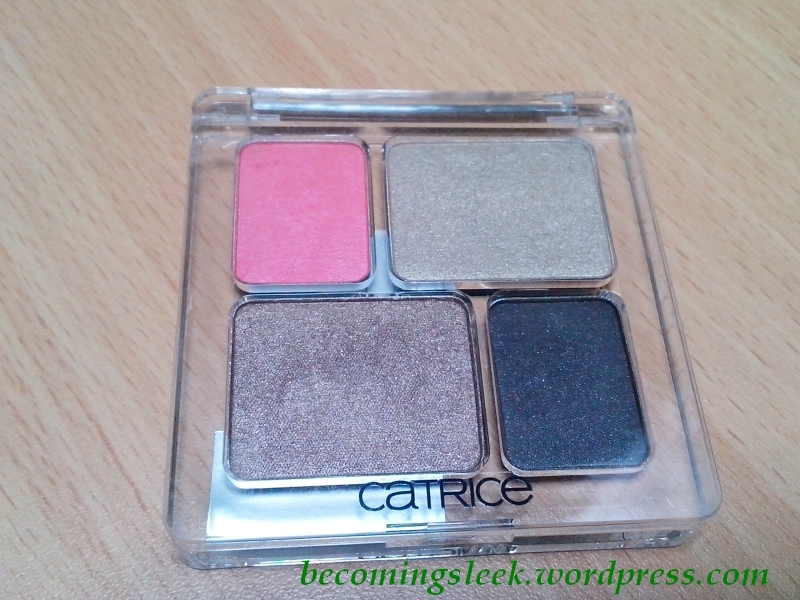 Have you tried anything Catrice lately? You all know that I’m an ultimate Celeteque fangirl. I’ve tried most of their products and loved almost all of them. If I were to choose only the top 5 products, what would they be? 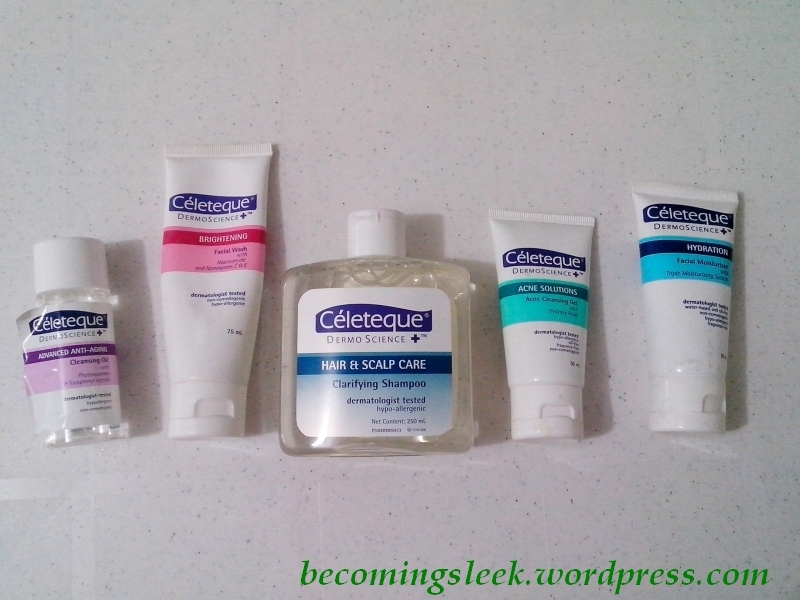 This post is dedicated to the top 5 Celeteque products that will always be on my vanity/bathroom. Here they are, in no particular order. This is my go-to moisturizer (day and/or night) when I have no particular skin issue I want to address. 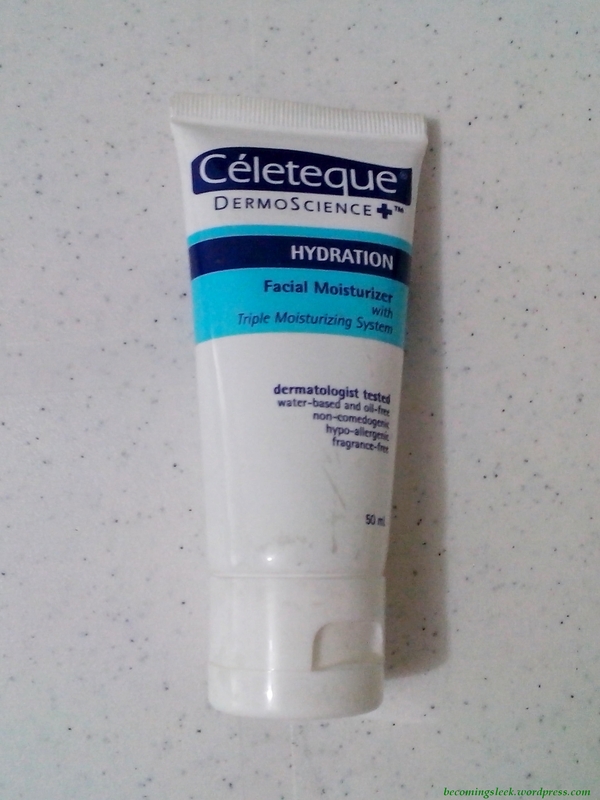 It is a great everyday moisturizer, and it keeps my skin calm. A new formulation made it so much better. It definitely felt too, well, oily, in its previous incarnation. Now it’s still a bit oily, but it no longer lingers on the face. I like using this whenever I forgot to remove my makeup before jumping in the shower. Yup, this sits with my bath stuff now (hence the peeling label), and I like it that way! Speaking of showering, this one is also a permanent resident in my bathroom. 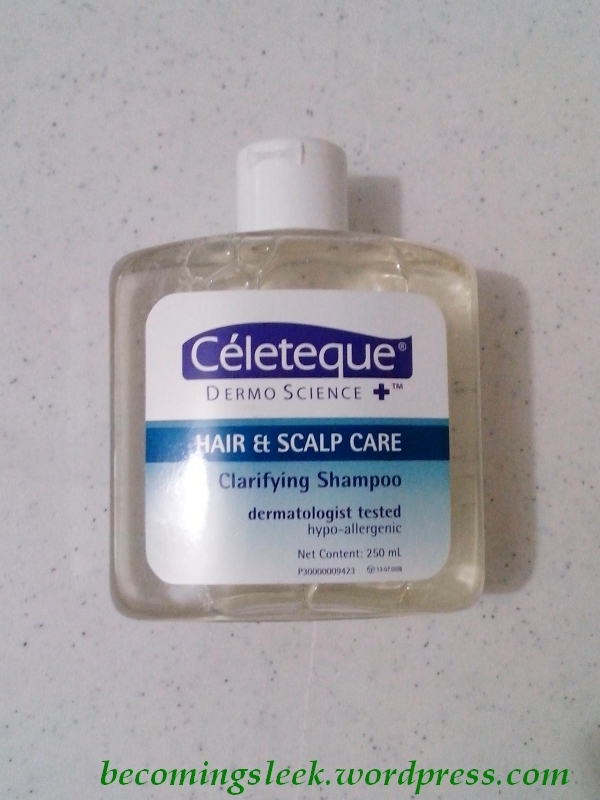 I use this every Wednesday without fail, and I think my hair is all the better for this weekly resetting. I’m only on my second bottle so far since at once-a-week-use it takes forever to finish a bottle. This is my non-specialty facial wash. The default, so to speak. 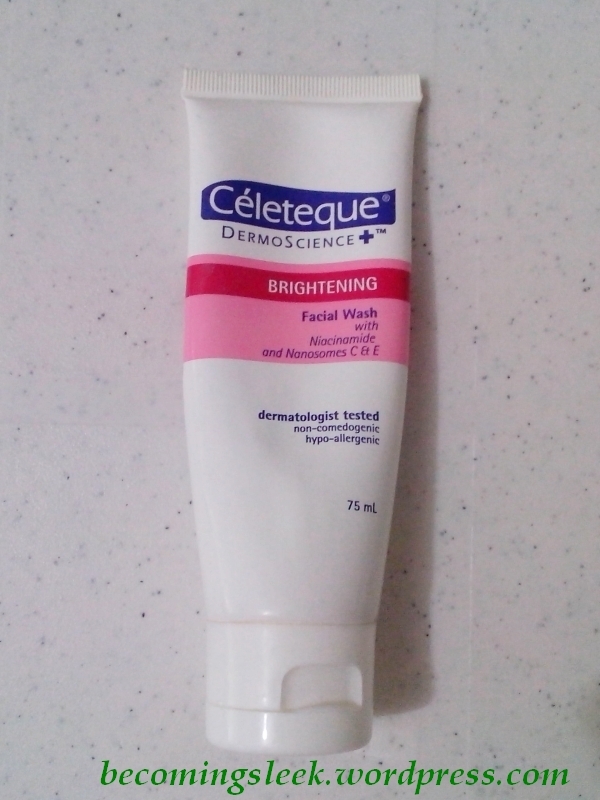 I use this every morning before putting on makeup, and at night when I don’t feel like using specialty products. It cleanses very well without that squeaky clean feel (I don’t like that so much), and leaves my face feeling fresh. 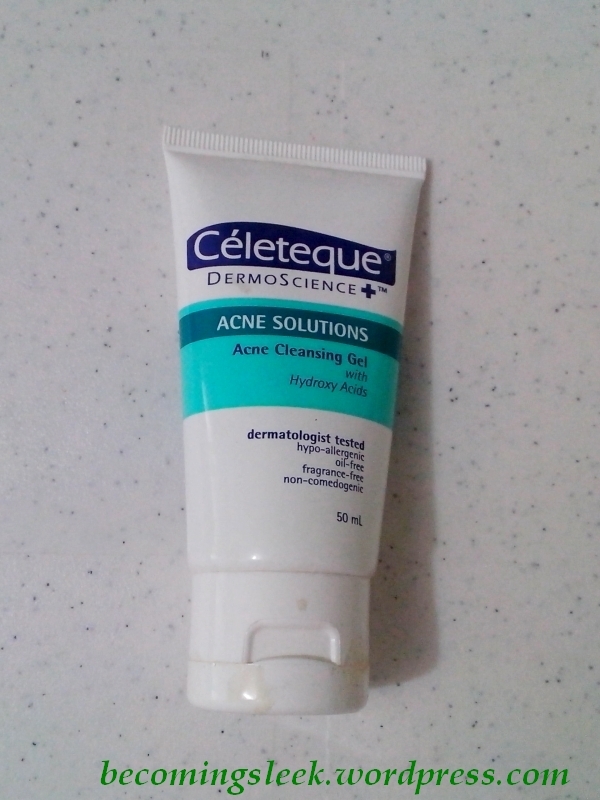 On the random days when I sprout (non-cystic) pimples, I break this one out. It is very effective, and will speed up the clearing out of the pimples to at most a couple of days. 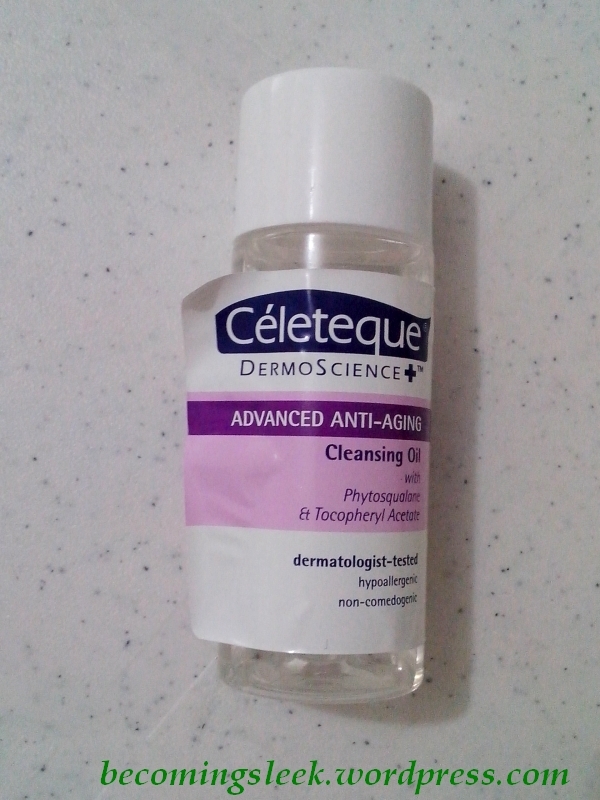 I like the feeling of a gel cleanser on troubled skin, very soothing. 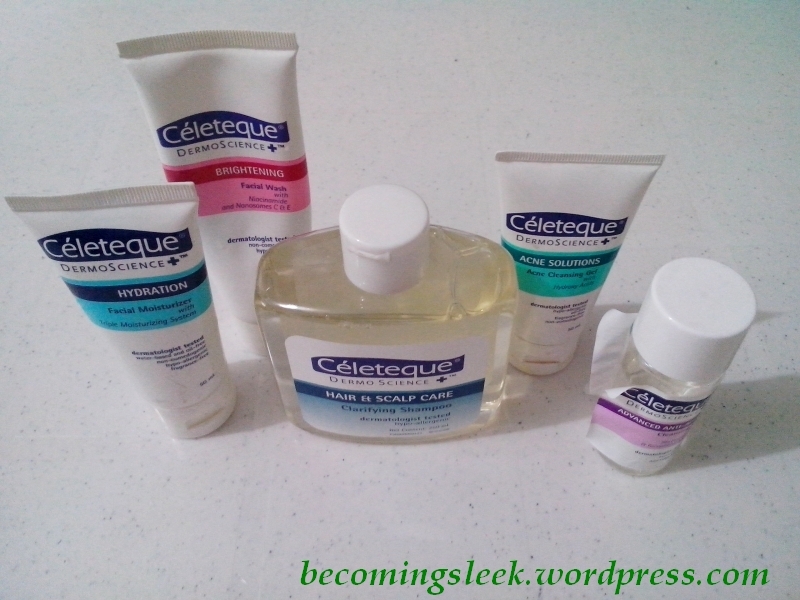 There you have it, my top 5 Celeteque products that I always have with me. 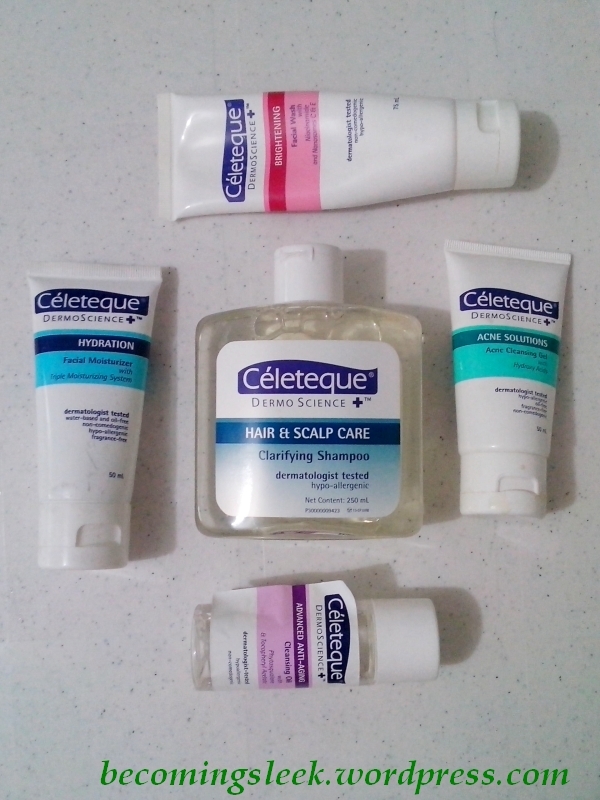 What are your Celeteque favorites? 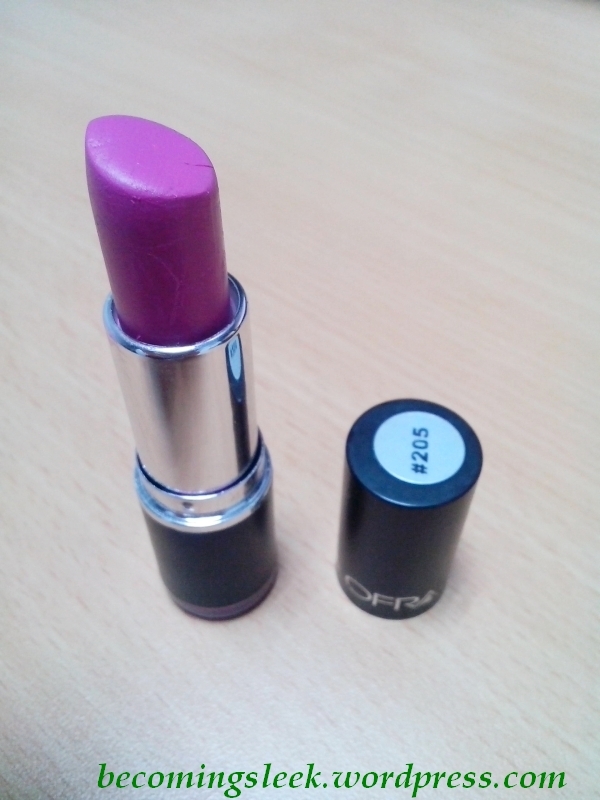 One of my recent makeup kit mainstays is Ofra Lipstick #205. This is the other option to receive from the Beauty SOS Glamourbox last year. I got my #202 (red) from that, and this #205 I bought from Shayne. 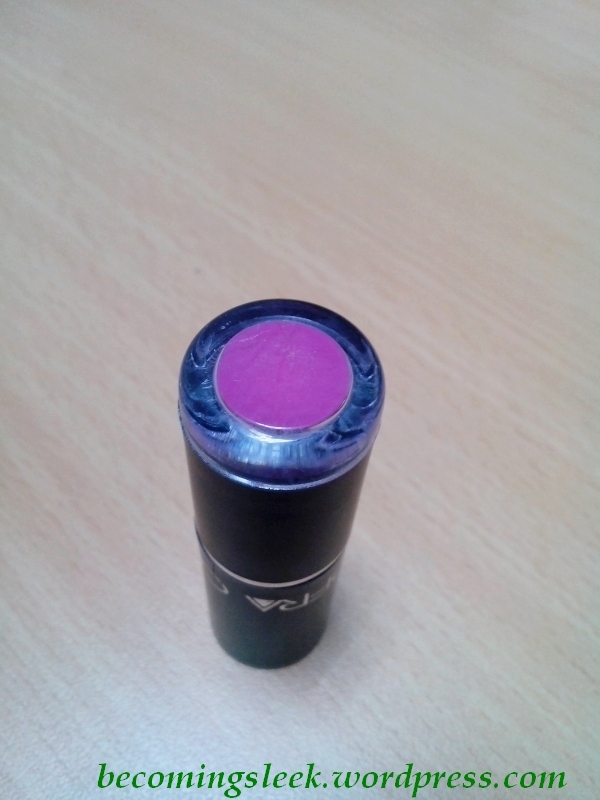 It is what I would describe as orchid pink, although it leans a lot more violet on the tube. There is a small window on the bottom that lets you see the shade. As I said, on the tube it looks a lot like purplish pink. Here is the arm swatch. See what I mean about orchid pink? It’s actually quite dainty and lighter than what the color in the tube looks like. One of the things I really like about this lipstick is that it looks different depending on whether you blotted the lipstick or not. Check out the lip swatches here. Here’s a face shot with the non-blotted version. You can really see the sheen of the lipstick here. And here is another shot, this time blotted. 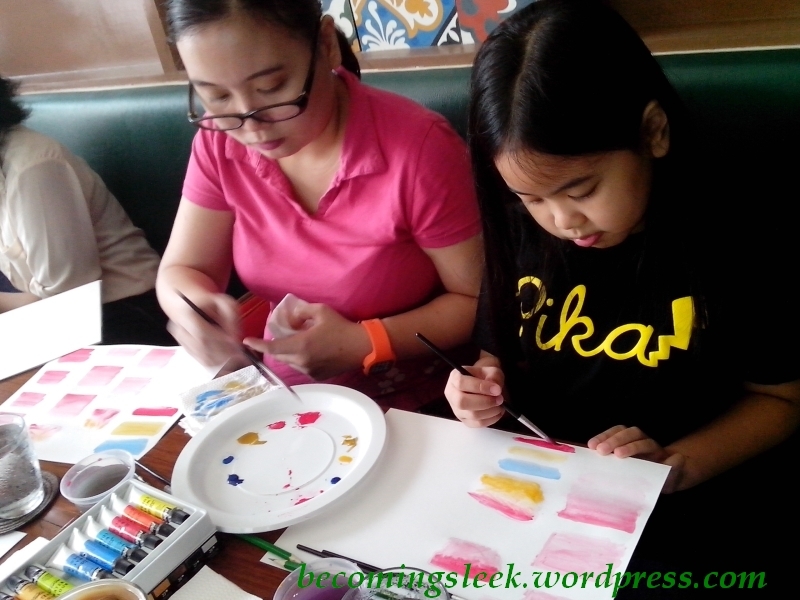 The sheen is now much more muted, and it looks almost matte. 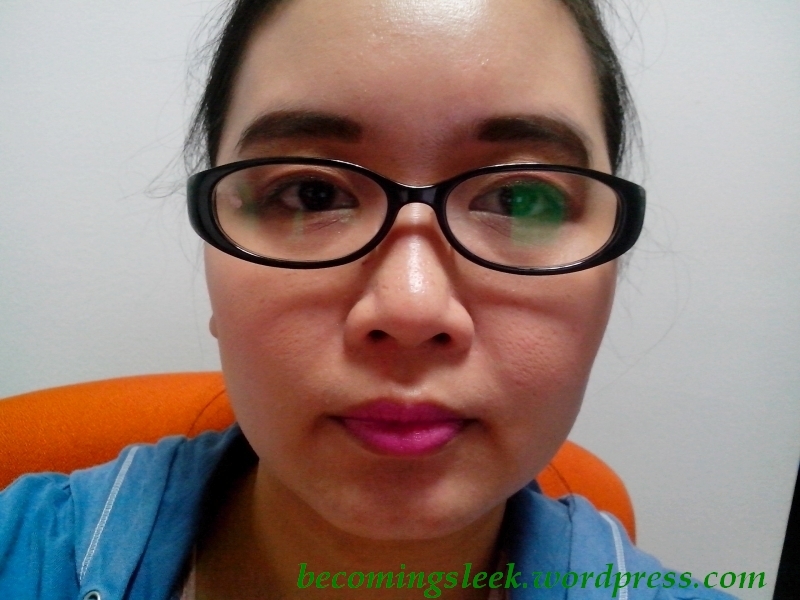 I really like that I can choose to go either matte or shiny with this lipstick. It also smells like vanilla, which I really like. It lasts relatively long, about 4 hours, without drinking or eating. 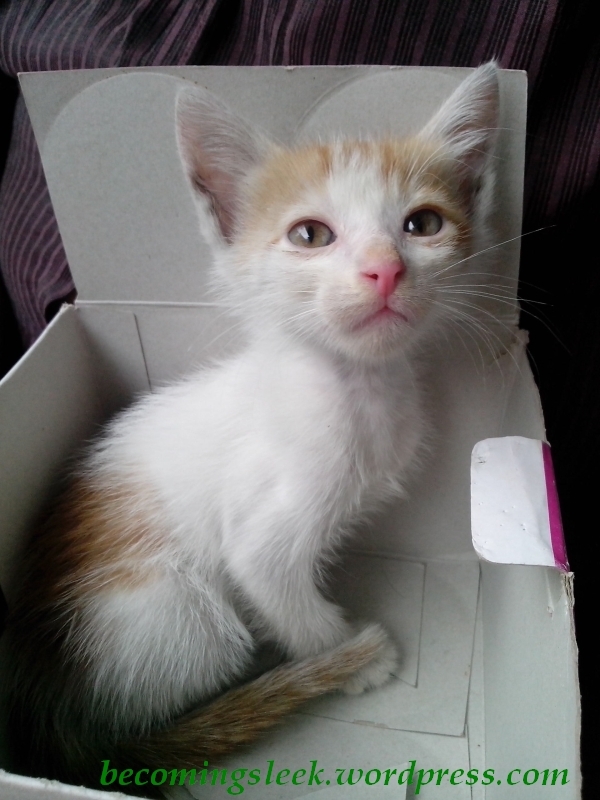 Unfortunately it has a tendency to transfer, so be careful about that. 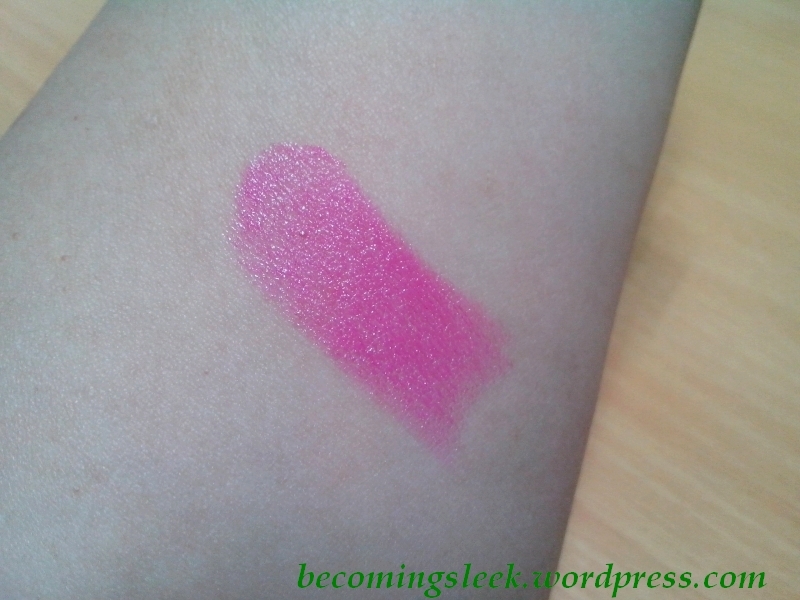 This looks like a standard 4g or 3.5g lipstick, and costs Php650. 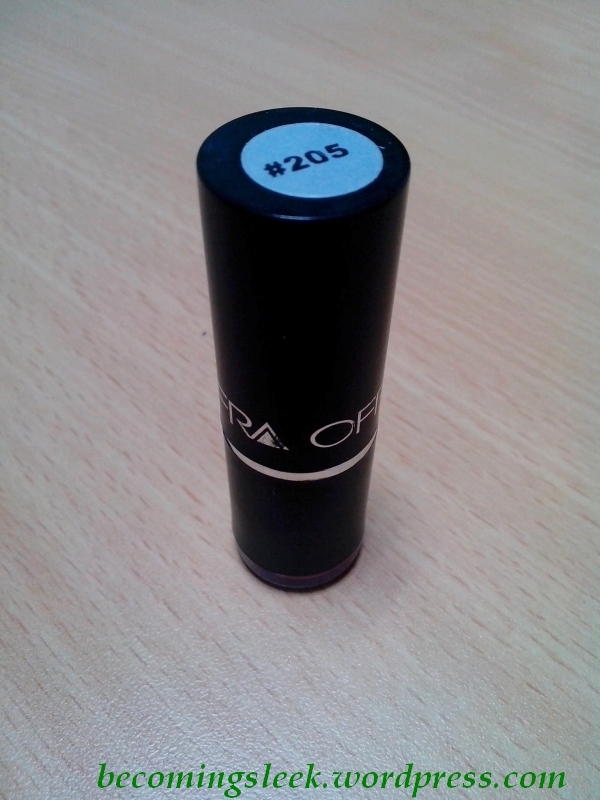 Ofra Lipstick #205 is available through the Glamourbox Boutique, as well as selected Snoe outlets and Glamourbox stalls. Well well well, an unboxing after a long time! And this one is a new subscription box called She Likes Shoes. From the name you can gather that this is a shoe subscription box, the only one so far in the country. How does it work? You can just go to the How It Works page from She Likes Shoes, or you can read on to see how I did it. You need to sign up for an account at shelikesshoes.com. Creating an account does not mean you are already subscribed and have to pay; what it does is to allow you to see the shoe closet of the month. This is what I did ever since I found out about SLS, and I was able to peek at their shoe offerings without having to commit yet. October rolled along and I immediately felt affinity to one of their October shoes so I signed up for a 3-month subscription around the tenth. I was immediately billed Php499 through Paypal (their only other payment option is Pesopay), and was set up an automatic billing for the succeeding two months for the same amount (Php499) on the 3rd of each month. In return my account was credited with 1 STEP. STEPS are the currency that you use to buy SLS shoes. For each month you are subscribed you will receive 1 step. The monthly closet will have three tiers of shoes: about four or five shoes costing 1 step; two or three shoes costing 2 steps; and two or three shoes costing 3 steps. You can easily buy additional steps (at Php500 each) at to allow you to buy the higher tiered shoes. As the one I liked luckily was in the first tier, I didn’t need to get additional steps. Also starting just recently, you can also buy the popular styles from the previous months’ closets (Previous Styles), again by paying through Paypal or Pesopay. Claiming the selected shoe is quite easy. Just select it from the closet and you will be taken to the details of the shoe. Just select your shoe size then click Get Shoe. The order slip will be revealed and you will need to enter your shipping address and contact number. Click Claim Now to finalize the order. SLS will then get back to you through email to confirm your order, and give you a date window within which you will receive your shoes. My email stated that I will get mine between October 21-27. Well guess what? 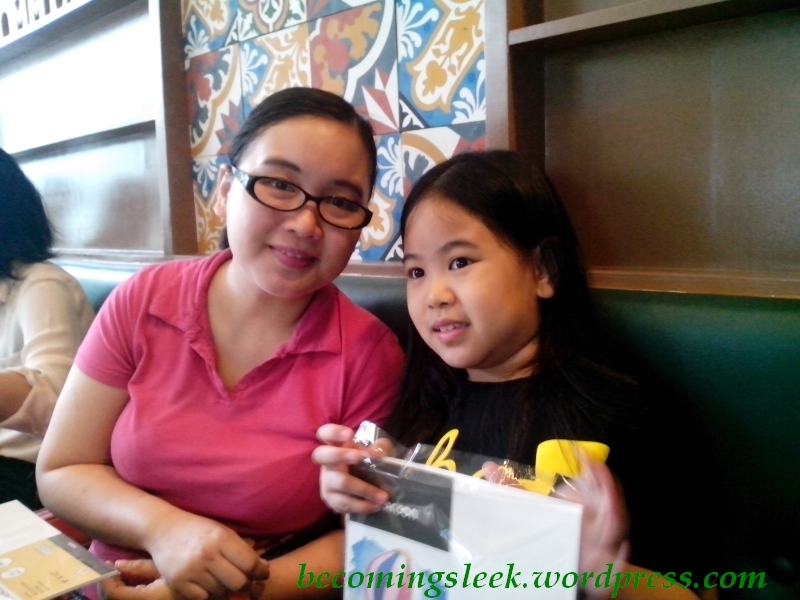 It arrived on October 21! My chosen shoe is the Hillary. 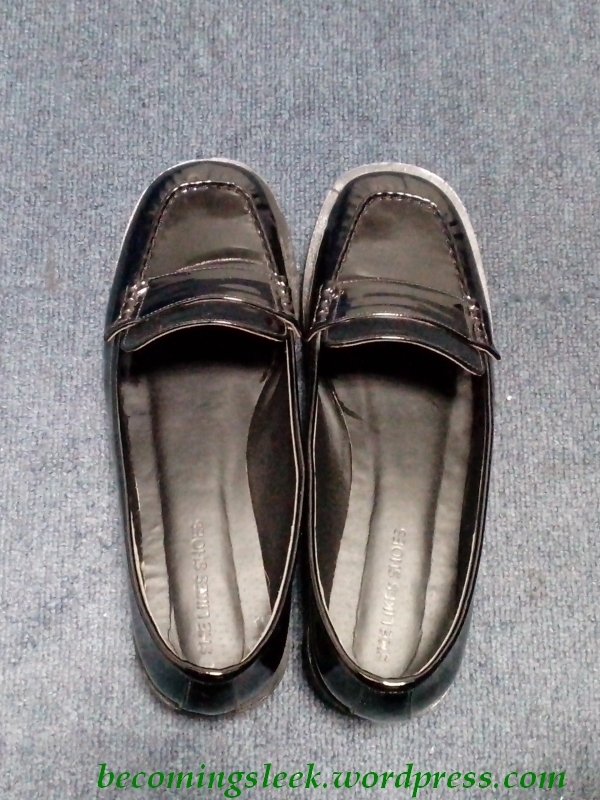 It is a black patent closed shoe with a bit of platform, pretty much a patent version of a schoolgirl shoe. I’ve been wanting to get one for some time, as this kind of shoe is really well within my style. It costs 1 step. It arrived in a nondescript brown shoe box, wrapped well and padded in soft paper. I could not believe it was so light! The shoe looked pretty imposing and bulky, but it was made of pretty light materials I guess. It was just what I wanted! The fit is a little loose. I’m a half-size (7.5) and SLS only offers shoes in whole numbers so I ordered an 8. 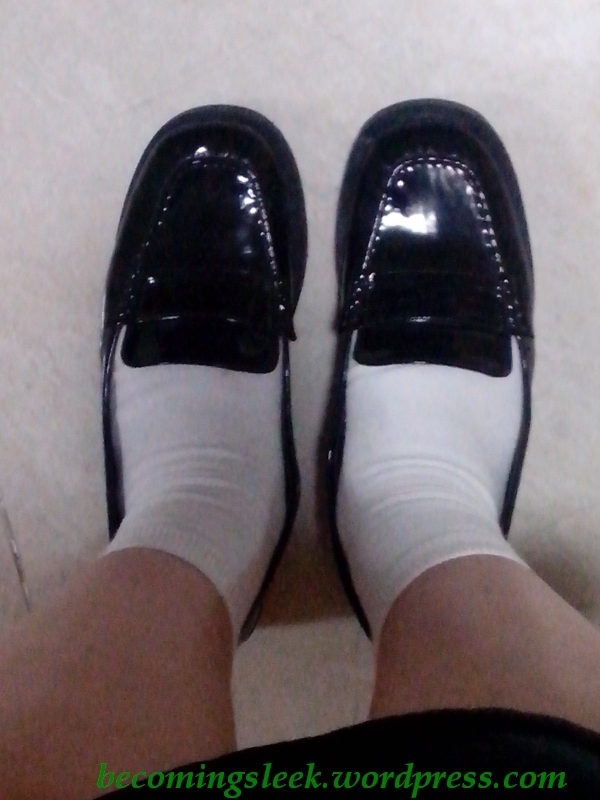 I figured it should be okay since I plan on wearing socks with these shoes. The sole feels really cushy although of course I expect I will need to break it in for a bit. I am one happy lady with her new shoe! I can’t wait to see what next month’s closet brings. I hope there will be one or two that fits my style. 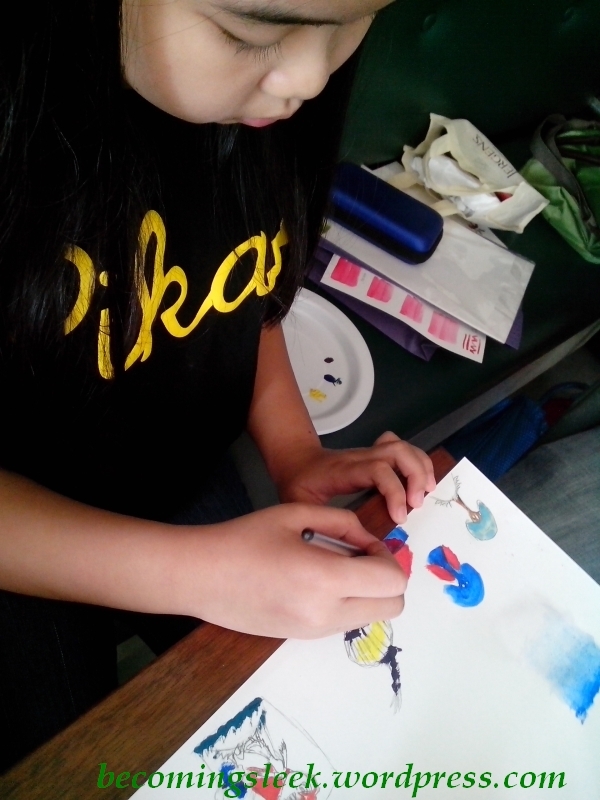 She Likes Shoes designs and produces all the shoes they offer, which is quite amazing. Their usual style for the first tier are sandals or flats, while there is usually a pair of boots in the higher tiers. Heads up! You will get a free step if you subscribed (not just create an account) within the month of October! Disclaimer: I subscribed to She Likes Shoes with my own money. 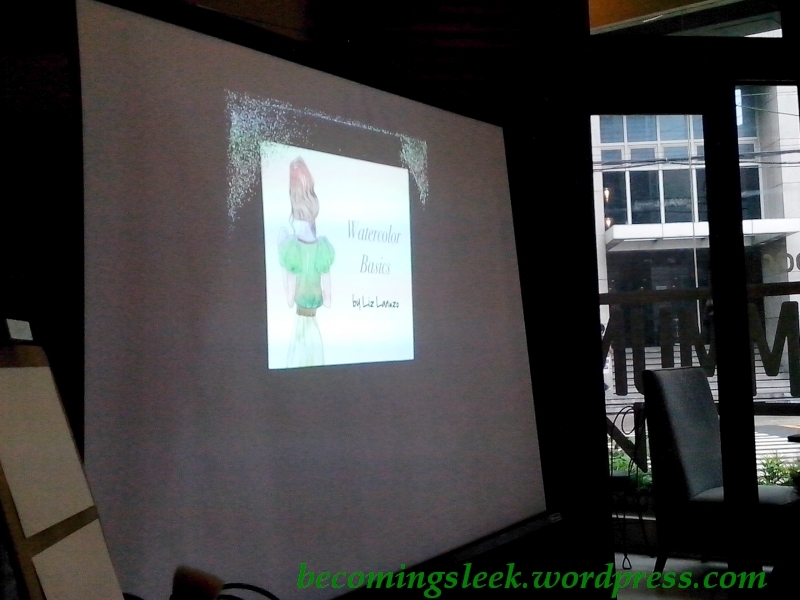 I am pleased with the shoe and the service which is why I wrote this post.